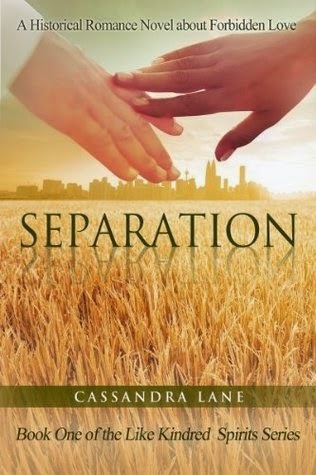 "Separation," by Cassandra Lane, is a novel about the trials and triumphs of forbidden love. Set in post-emancipation New York, the plot is about the difficulty of sustaining a relationship between a biracial woman and a white man in a society that frowns upon such relationships. The plot begins slowly, but picks up pace throughout the book. Lane did an excellent job writing well-rounded, period-correct characters; they capture the sentiments of the time perfectly. The book's writing in general is very compelling and moving. Lane's writing is reminiscent of a 19th century writer, very descriptive and thoughtful. By far, the highlight of the book is its theme of love -- that love can emerge the victor, even in situations that forbid it. Overall, this is a great book for anyone who wants to read a historical romance about forbidden love with very descriptive writing reminiscent of the classics -- and fans are sure to be joyed to learn there is a second book in the series!